Distinguished elegance awaits you at The Queen Victoria Residences. 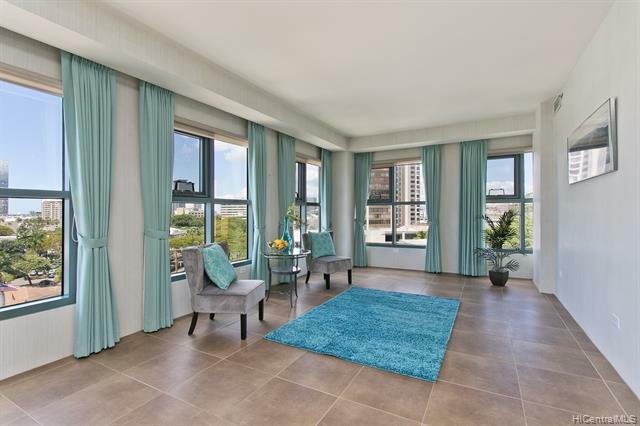 Located in the West Tower, this spacious, well-maintained 2 bedroom, 2 bath corner unit with a high ceiling is one of two residences on the 7th floor. 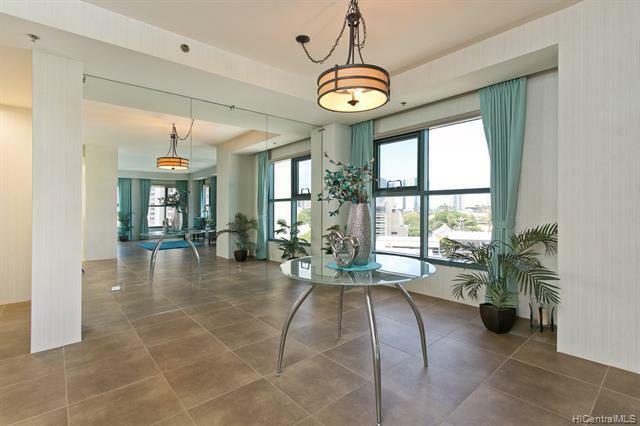 Privacy is assured with floor-specific access by elevator from the Upper Parking level. 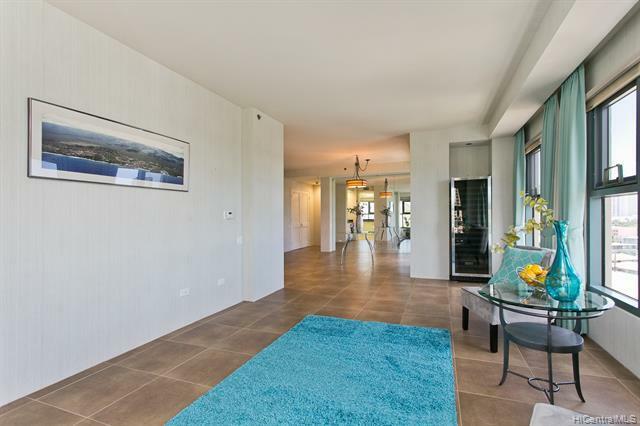 A foyer invites you in to the open living room and dining area with the bedrooms situated on opposite ends of the well-appointed unit. A storage locker in a secured room is assigned to the unit. 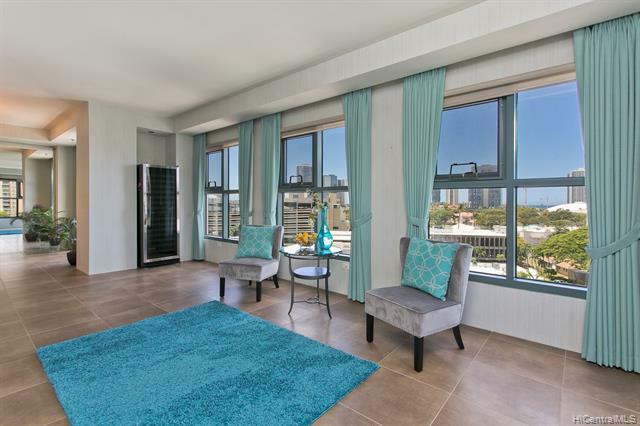 The Queen Victoria Residences is a 16-story, secured building that features an elegant lobby, meeting room, fitness room, pool, hot tub, BBQ area, and a dog park, and it is conveniently located near freeway access, hospitals, the Neal S. Blaisdell Center, the financial district, and Chinatown.